Red markers indicate completed installations as of April 21, 2015. Orange markers are locations of scheduled installations. As of April 21, 2015, Solarize Harrisonburg had succeeded in gathering 66 contracts for residential photovoltaic solar panel installations through Sigora Solar with over half having been installed. This was cause for a celebration which is step number 9 in the solar coop process. Wednesday evening, May 13, found many of the Solarize Harrisonburg members gathered at Clementine’s Ruby’s Lounge to socialize over appetizers provided by Sigora Solar, view photos of the installations and offer appreciation for the individuals and groups involved in the project’s success. As our on the ground organization partner of the year for their excellent work in making Solarize Harrisonburg our most successful Virginia Solar Co-op to date. They prove that a small, passionate group of people are capable of empowering others to act locally while making a global impact. For this we recognize CAAV on this day Wednesday, May 13, 2015. Finally Aaron announced plans to launch a second round of Solarize Harrisonburg in August 2015! More here. CAAV Chair Laura Dansby accepting an award for CAAV from Aaron. Photo of Joy Loving by The Breeze photographer Matt Schmachtenberg at Solarize Harrisonburg’s table at the Farmers Market on October 4. Robyn Smith, editor and journalist with JMU’s The Breeze, wrote a fine article about Solarize Harrisonburg which was posted online on Sunday, October 5 and appeared in the Monday, October 6, 2014, print edition. 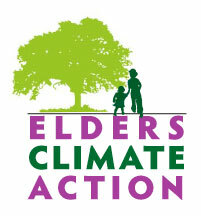 See the online version here: Solar Energy is a priority for the Climate Action Alliance. The more conscious Loving became of her own energy use, the more she turned against mainstream sources of energy. Joy will be featured on WMRA’s The Spark with Martha Woodroof on Friday, October 10 at 6:20 PM: Joy and Sunshine. Find it at 90.7 FM on Friday evening or archived online after it airs. Sigora Solar Selected as Installer! More than 75 residents of Harrisonburg Virginia have organized into a solar co-op leveraging their collective buying power to go solar together at dramatically reduced costs. Following a competitive bidding process, the group selected Waynesboro VA-based Sigora Solar to complete the co-op’s installations. Joy and other members of CAAV are helping to recruit people from the Harrisonburg and Rockingham County area to join the group. New members can continue to join the group through October 31st. 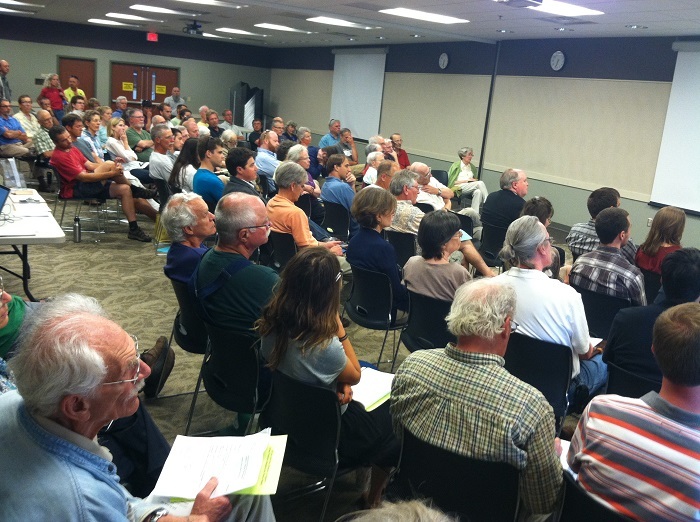 Solarize Harrisonburg will hold its final public information meeting at the Massanutten Regional Library, 174 So. Main St., Harrisonburg, on Tuesday October 21 at 6 PM. More information including a sign up form is available at the Solarize Harrisonburg web page: http://www.vasun.org/solarize-virginia/solarize-harrisonburg/. Join the Solar Installer Selection Committee! keep up the great work talking to your friends and neighbors! Our Request For Proposals to area installers is due this Friday, September 12 and we have already begun to receive bids! We are now looking for Co-op members to help us select the installer for the program. the Bid Selection Committee meeting: Thursday, September 18, 6:30 PM at 1920 Medical Ave., Harrisonburg. The meeting will be held at the dental office of Bob Detrich who has graciously volunteered the space for the evening. – No solar knowledge is required to be a committee participant. – Before the committee meeting, we will compile a spreadsheet with details of all the bids so that an apples to apples comparison can be made. – An installer will be selected before the meeting adjourns. Press Release, July 18, 2014: Solarize Harrisonburg is Happening! A local environmental group, Climate Action Alliance of the Valley (CAAV), is launching a Solarize Harrisonburg program. This program is part of a grass roots effort in the U.S. to increase the use of solar to produce energy and to lower installation and equipment costs through a bulk purchase process. Currently there are such efforts underway in several states and, within VA, in Charlottesville, Blacksburg, Hampton Roads, Richmond, and Northern VA.
CAAV sponsored an initial, interest-gathering meeting on June 2 that was attended by over 100 persons. Subsequently, CAAV decided to sponsor a Solarize Harrisonburg group. Initially, the focus will be on the Harrisonburg/Rockingham County areas. If the interest is there, the group may consider expansion into nearby cities and counties. The Solarize Harrisonburg group has established a web site, www.vasun.org/solarize-virginia/solarize-harrisonburg, and is partnering with the Community Power Network (CPN)/VA Sun to move forward. Solarize Harrisonburg will have a community meeting and solar information session with representatives of (CPN/VA SUN on July 28, 2014. The meeting will take place at 6:00 PM at Massanutten Regional Library, 174 South Main Street, Harrisonburg. CPN works with interested people in a geographic area to initiate formation of a solar cooperative. Once established, CPN can then assist the cooperative with the many aspects (e.g., analytical, financial, technical) that such an effort involves. This purpose of this meeting is to generate interest, describe the process to attendees, get questions answered and begin the necessary organizational tasks. 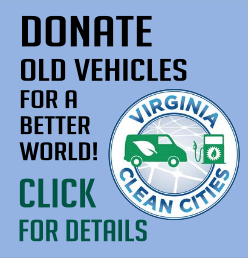 Anyone who is interested in going solar or in helping this initiative get underway can fill out the survey on the Solarize Harrisonburg web site. For those who express interest in installing solar, CPN will do a satellite assessment to see if their roof is a good fit for solar. For those offering to help, Solarize Harrisonburg will use the information from the sign up form to begin the process of matching talents/skills to the various areas in which it needs expertise. “Completing the sign up form does not obligate one to install a solar system. But it does make the person part of this exciting local initiative,” said Loving. More about Solarize Harrisonburg here. Anya Schoolman laying out the plan. A final Solarize Harrisonburg Information Session will be held on Tuesday, October 21, 6 PM at the Massanutten Regional Library, 174 S. Main St., Harrisonburg. Get your questions answered. Everyone welcome! Solarize Harrisonburg Information Session Monday, July 28, 6 PM at the Massanutten Regional Library, 174 S. Main St., Harrisonburg. Everyone welcome! Many thanks to Anya Schoolman, Ivy Main, Tom Benevento, and Richard Baugh for their inspiring presentations, and to everyone who came out to the June 2 forum to start learning about how we can boost solar power in Harrisonburg! Email contactcaav [at] gmail.com to get on an email list to stay informed about how we may continue organizing to make this happen. Community Power Network has set up a webpage for our Solarize Harrisonburg efforts through the VASUN citizens network site. Sign up to go solar! Bookmark the site to stay informed about our progress! Check out some of the conservative cost figures based on Solarize Blacksburg provided by Anya here. Read Ivy’s Where are the Renewables? 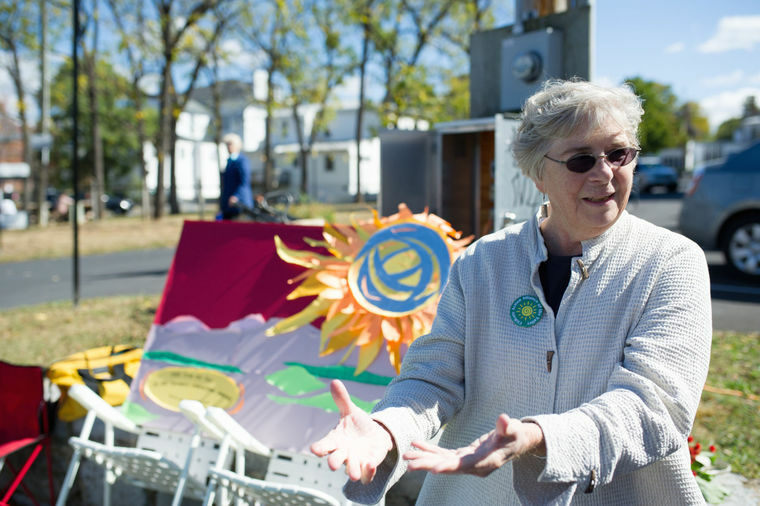 Wind and solar policy in Virginia, some of which she covered in her presentation on June 2. “Like” Solarize Harrisonburg on facebook! See CAAV steering committee member Joy Loving’s Open Forum opinion piece in the Daily News-Record as published on June 19, 2014: It’s Time to Solarize Homes. 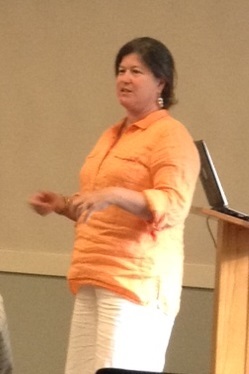 Joy has agreed to take the lead for CAAV on next steps for our area solarize effort. She is communicating with Anya Schoolman of Community Power Network and reaching out to interested parties. Contact her to get involved with leadership on this project at jal_1998 [at] yahoo.com. If you’ve been thinking about getting your own rooftop solar panels but have held off because of the high initial cost, the Climate Action Alliance of the Valley may have a solution for you. 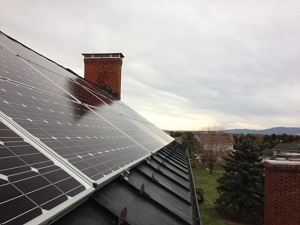 We will be exploring the pros and cons of neighborhood solar cooperatives and other solar bulk purchase programs at a meeting on Monday, June 2 at the Massanutten Regional Library, 174 S. Main St., Harrisonburg, from 6-7:30 PM. Speakers will include *Dan Conant of the Community Power Network, Ivy Main from Sierra Virginia and Harrisonburg City Council Member Richard Baugh. 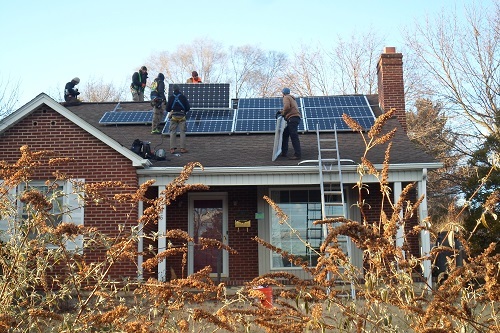 By getting together with others in their community to buy large quantities of the panels cooperatively, residents of Blacksburg and Richmond have been able to cut their purchase and installation costs significantly. 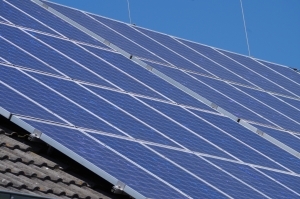 Groups like the Community Power Network help educate interested buyers about photovoltaic solar panels and do a survey of each home to determine whether the roof is even suitable for solar. Then they help the group navigate both the bidding for lowest price but high quality panels and installation as well as the necessary arrangements with the local electric utility. All contracts are still between the individual and the installer. To learn more about this powerful (!) opportunity, please join us to see if we can all help Harrisonburg go solar! *Dan Conant is Virginia and West Virginia Program Director for the Community Power Network, a D.C. based non-profit alliance dedicated to making solar energy accessible and affordable for all communities. Ivy Main is Chair of the Virginia Chapter of the Sierra Club and an educated voice for renewable energy in VA.
Richard Baugh is a practicing attorney who has served the City of Harrisonburg as Council Member since 2008. Tom Benevento of the New Community Project in Harrisonburg will provide a brief appeal for the consideration of energy efficiency updates to a home when installing solar energy.